Author: Richard L Ganz Publisher: P and R Publishing Co. Year: 2003 Description: This.. Author: Loraine Boettner Publisher: Presbyterian and Reformed Publishing Co. Year: 1992 .. Author: Norman L Geisler Publisher: Baker Books Year: 2007 Description: This survey a.. Author: W Phillip Keller Publisher: Zondervan Year: 1970/ 2007 Description: As a shep.. Author: J. Vernon McGee Publisher: Thomas Nelson Publisher Year: 1991 Description: Th.. Author: Herbert Wolf Publisher: Moody Year: 1991 Description: Wolf first addresses th.. 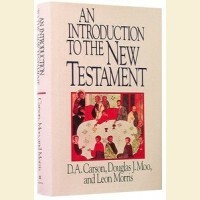 Authors: Carson, Moo, Morris Publisher: Zondervan Year: 1992 Description: An In.. Author: C Hassell Bullock Publisher: Moody Year: 1988 Description: C. Hassell Bullock.. Author: Albert Barnes Publisher: Kregel Year: 1962 Description: A complete, unabridged,.. 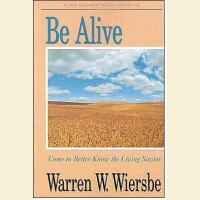 Author: Warren Wiersbe Publisher: Victor Year: 2005 Description: A New Testament Stud.. Author: Warren Wiersbe Publisher: David Cook Year: 1991 Description: Wiersbe's best-s.. Author: Warren Wiersbe Publisher: Victor Year: 2012 Description: "Hope is not a sedat.. Author: Warren Wiersbe Publisher: David C Cook Year: 1997 Description: It can be argu.. Author: Henry M Morris Publisher: Master Books Year: 2000 Description: Critics of the..